The 550 Front Glazed Plant On System is versatile and flexible allowing glazing adaptors and covers to be fixed to other structure including aluminium, steel or timber. With cover adaptors at 50mm they can be used along side the Hastings Framing. Ideal for upmarket residential and commercial applications. With it's straight cuts and flush glazing the 550 not only looks good, but is easy to fabricate and easy to install. 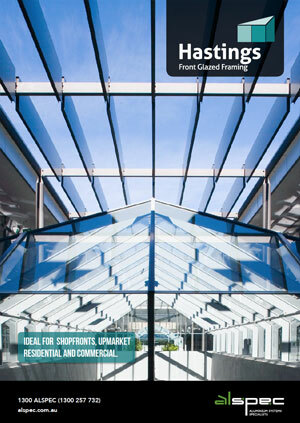 The 550 glazing suite is suitable for a range of single and double glazed options.